It will be JFK's 50th anniversary next year. So who was JFK and who were the Kennedys? They certainly had an unfair share of tragedy in their lives. Jacqueline had a miscarriage in 1955 and a stillbirth in 1956; and a son, Patrick Bouvier Kennedy, died shortly after birth in August 1963. John's eldest brother, Joseph P. Kennedy, Jr., who was originally to carry the family's hopes for the Presidency, died in World War II, aged 29. 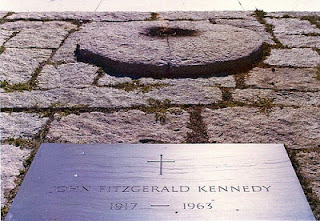 Then both JFK, and his brother Robert died as a result of assassinations. Years after JFK's death, it was revealed that aged 30, he had been diagnosed with Addison's disease - a rare endocrine disorder. Infamously known as the guy who shot JFK, Lee Harvey Oswald assassinated John F. Kennedy in Dallas on November 22, 1963. Oswald was shot and killed two days later by Jack Ruby. Edward Kennedy had brushes with death, the first in a plane crash in 1964 and the second as a result of a car accident in 1969. Edward died at age 77, on August 25, 2009, from the effects of a malignant brain tumor. Caroline Bouvier Kennedy was born in 1957 and is the only surviving member of JFK's immediate family. John F. Kennedy, Jr. was born in 1960, just a few weeks after his father was elected. John died in 1999, when a plane crashed en route to Martha's Vineyard, also killing his wife and his sister-in-law.